I’ve mentioned before how much I appreciate the teaching and leadership of Andy Stanley. No, I’ve never met him, but I’ve been listening to his podcasts and reading his books for a while now and I feel like I know him. 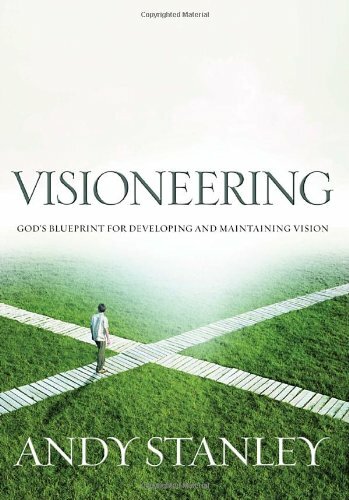 VISIONEERING is a combination of VISION and ENGINEERING. Planning and putting plans into motion. It’s a practical guideline that addresses everything from idea conception to realized vision (and back again).